As I admitted in my previous post, “The Bowie Effect (Or, Remembering the Music of 2016),” I’ve been a casual fan of David Bowie for a longtime, but I am no zealot. In fact, I have significant blind spots in his formidable catalog. So, my plan is to immerse myself in a few of his records with which I’m unfamiliar and assess their impact. I may love, I may like, I may hate. However, please know that I’m coming into this project with fresh ears, so I will assess the albums fairly and reasonably. The first record I wanna tackle is one consistently rated among his best and, quite frankly, it’s dumb that I’m not already familiar with it. That would be Low, released early in 1977, and a record that Pitchfork rated as its #1 Album of the 1970s. They’re certainly not alone either. In Rolling Stone, Rob Sheffield intoned, “Low flows together into a lyrical, hallucinatory, miraculously beautiful whole, the music of an overstimulated mind in an exhausted body.” And Stephen Thomas Erlewine of All Music Guide writes, “The record is defiantly experimental and dense with detail, providing a new direction for the avant-garde in rock & roll.” Heady words all. 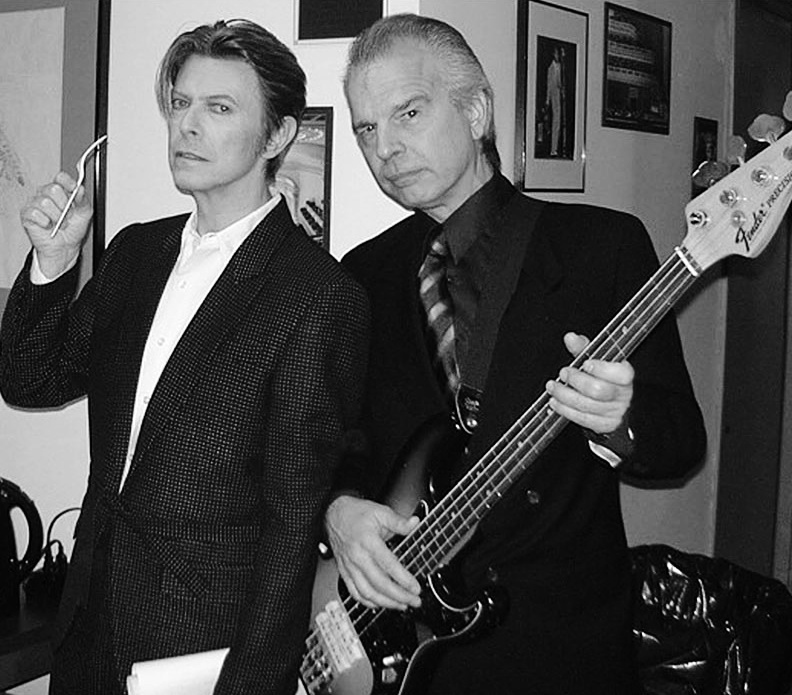 The official narrative is that Bowie exiled himself in Berlin, hooked up with Brian Eno and Tony Visconti, and together they built an electro-avant synth army that took over the world. This is certainly true of Low‘s Side 2, a largely instrumental, four-part synthscape that bears little resemblance to trad rock and wouldn’t be possible without Eno. “Weeping Wall” is an impressively precise Steve Reich homage and the tracks as a whole certainly build a bridge between Roxy Music, Kraftwerk, and Neu! on one side and Joy Division, Wire, and U2 on the other. But, all of that is exactly why Side 2 doesn’t particularly engage me. I don’t hate it, I like parts of it — the saxophone on “Subterraneans,” for instance — but I’m not an electronica/ambient/synth guy. My sweet spot are concise songs over a rock ‘n’ roll, R&B, or country rhythm section. Intellectually, I appreciate what Bowie is doing, but it’s deliberately alienating. It works better in my head, where I consider it the score to a movie that was never made. One of the problems with Low‘s conventional narrative is that it sells Side 1 way, way short. With all of the talk about ambient this and experimental that, no one bothered to mention that what makes Side 1 work aren’t the synths. It’s that an R&B band is at its core. You know how I know this? Bowie said so. So, what follows is a track-by-track review of Side 1 of Low. If Side 2 is the score to an alternate history movie, Side 1 is its soundtrack. Given all the mythology, history, and baggage coming into my first proper sit-down with Low, imagine my surprise when I fired up the first song and literally four seconds in I was greeted by Carlos Alomar’s killer guitar riff. Wait, I thought they melted all the guitars in a Viking funeral on the River Spree? That riff is what makes “Speed Of Life” work for me. 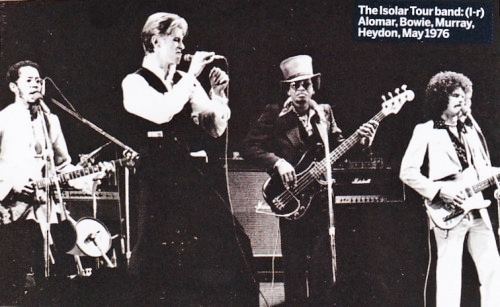 That said, Bowie’s melange of synthery is pretty interesting because the various parts are not only having a conversation with themselves, they’re talking to Alomar’s guitar. I believe one of those synth elements is a squawking tape loop that gives the song a sly “Tomorrow Never Knows” feel. Dennis Davis is a solid rock drummer and he commands attention because producer Tony Visconti filtered his kit through the infamous pitch shifting Harmonizer. But, the star of the rhythm section is bassist George Murray. His basslines make this song swing and he’s often playing subtly clever polyrhythms and countermelodies. As an instrumental, “Speed Of Life” kind of works like an overture, setting the tone for what’s to come. Another song, another wicked guitar riff. Assuming this was Visconti’s decision, I like how Carlos is set way off to the right, Ricky Gardiner’s guitar is way off to the left, and Eno’s Minimoog squawks are in between, panning from left to right and back again. Actually, For a guy whose done his fair share of baroque and over the top, “Breaking Glass” is as spartan a Bowie song as I’ve ever heard. 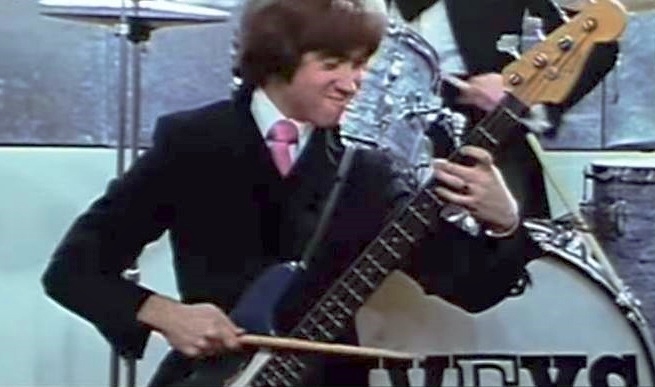 Murray’s bass deftly percolates underneath Davis’ dry, lonely drums, which are like THWACK! [beat] THWACK! [ w a i t f o r i t ], THWACKTHWACK. If these first two songs are any indication, Low may have turned trad rock on its ear, but it’s still trad rock. Also, you think Prince was a fan of this record? I’m guessing he heard it maybe once or twice. If the arrangement is starkly minimal, I think the quote above, especially Eno’s sub-quote, speaks to one of rock music’s most underrated qualities: jamming econo. I love bands who have the balls or ovaries to say, “I have 1:50 of a good idea, I’m releasing that 1:50.” (Looking at you, Minutemen and mid-period GBV.) They don’t double the chorus and repeat the first verse and oh look, that 1:50 song is now 3:59. The temptation to “normalize” has to be immense, but addition by subtraction is a very real thing. To all musicians: Don’t fatten it up if it’s a perfectly fine 1:50 idea. Brian Eno – ARP synth, Rimmer E.M.I. Man those video game bleeps are dated. I get it. No one was recontextualizing synths in experimental art rock before blah blah blah. If I get to criticize The Pretenders debut masterpiece for the same thing, I get to criticize Low. I will say that Eno’s Pac Man fever does a good job of giving the song a frenetic sense of pacing, which is exacerbated by Gardiner’s lead guitar part (Eddie Hazel-esque perhaps?) and Bowie’s occasionally paranoid vocal reading. 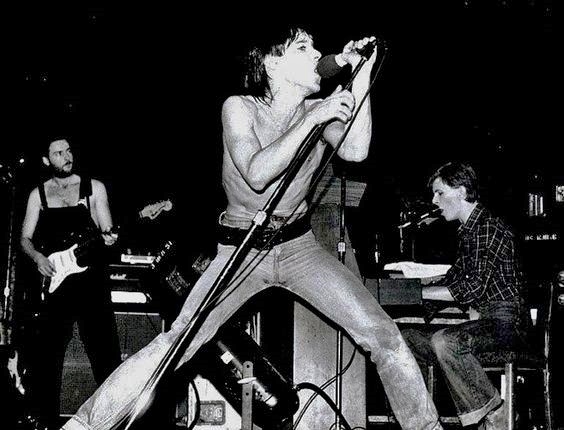 Of course, if Iggy Pop was shouting vocals behind me, I’d be paranoid, too. An OK song. Fairly catchy, but if it was gone I think I’d sleep at night. “Sound And Vision” isn’t just a song about songwriting, it’s a song about writer’s block, which Bowie suffered from during the recording of Low. It was also a surprise hit. While part of me is surprised it was a surprise, I get it. It’s easy to love from a distance, but in the moment I can see RCA looking at the tune as unfinished and . essentially an anti-pop song in construction. It takes forever to get to the vocal and the song fades out right when you think it should take off. The first :37 of “Sound And Vision” is the rhythm section locking the groove into place, with George Murray’s bubbling bass the star — as usual. For all of the mythology about Eno’s wizardry and Davis’ Harmonized drums, Murray is the actual revelation on Low. He makes Side 1 bounce. As for that hissing air brakes sound, I suspect it’s a distorted snare. However, it’s also a clever homage to the Velvet Underground’s “Black Angel’s Death Song.” Bowie MAY have heard that song a time or two. I’m just guessing. At :38, about the time you’d expect Bowie’s vocal to kick off, he instead hits us with a descending synth line, followed shortly thereafter by he and Eno on the wonderfully lazy “ahh-ahhhh” backup vox. Four bars later, when surely the first verse will martial into place, we’re instead visited by Mary Hopkin (aka Mary Visconti), who drops in for a quick set of “doo doos.” While we’re processing that bit of loveliness, Bowie’s throwback sax opens the door for the first verse … at 1.28 … midway through the track. This was apparently Eno’s idea because it upset expectations of a typical pop song, which typically begin after a 4-bar or 8-bar intro. Pretty clever, that Eno. But, oh that vocal. Bowie begins low in his register, but he effortlessly walks “Don’t you wonder sometimes?” up an octave until it gracefully alights on the sing song “’bout sound and vision.” So good. It’s insanely and memorably catchy, like the song itself. One of my new favorites in the DB catalog. This feels like the setup track for “Heroes.” It has a similar momentum and Roy Orbison-esque langour. 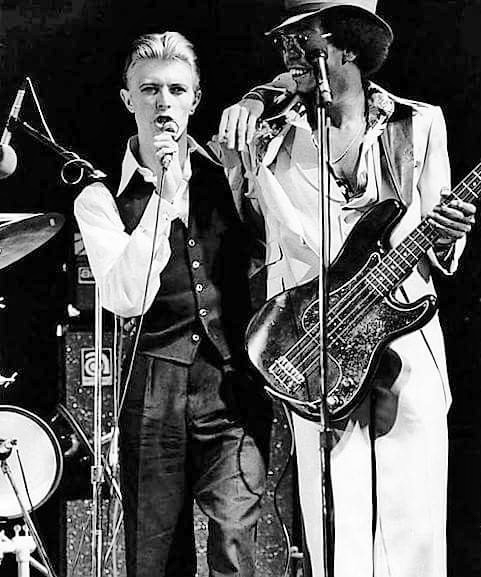 Great, sultry Bowie vocal and Davis’ drums are basically the co-lead instrument. Love the Gardiner and Eno guitar weave, which is basically inventing the Ronald Jones era of the Flaming Lips (aka my favorite period of the Lips). The last minute of the song with Gardiner’s guitar taking the song to Marquee Moon and back is transplendent. I’m willing to bet that I’ve not only listened to this song more than every other song on this list, I bet I’ve listened to it more than the other songs combined. Love Dix Denney’s wah-wah heavy guitar throughout and it was even better live. It’s certainly worth noting that “Swan Song” is about a musician being addicted to drugs in Los Angeles. That certainly links it to Bowie, who of course exiled himself to Berlin because of his own LA-based drug issues. Also, in 2004 Thelonious Monster released the album California Clam Chowder and one of the tracks was … “The Bowie Low Song.” Many levels here, folks. The song begins with a Ricky Gardiner guitar riff and some sweet barrel rolls from pianist Roy Young and those guys pretty much do the heavy lifting throughout. Gardiner, in particular, shows out on “Wife,” a song singled out in that recent (and well done) Bowie documentary, Five Years. 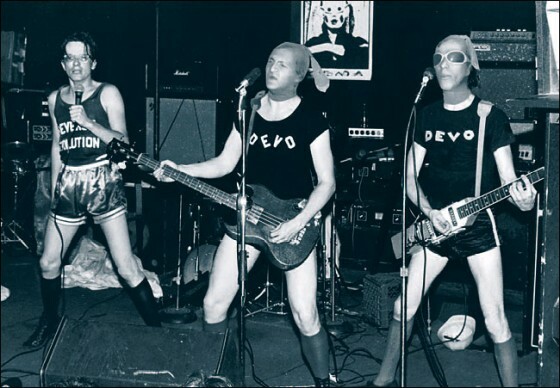 L-R: Ricky Gardiner, Iggy Pop, and David Bowie on The Idiot tour, 1977. The Jayhawks have always been a vocal harmony band. However, Gary Louris’ electric guitar does a lot of the dirty work. His overdriven leads from 2:31-2:52 and 3:29-4:17 — probably/hopefully via his fabled Gibson SG — is a thing of beauty. Feels totally influenced by Clarence White. And not just any Clarence White. The Clarence White who goes voodoo Charlie Parker on this bayou burner. Roger McGuinn’s lyrics are deeply evocative, no question, but it’s White who takes the song to another level. His symbiosis with drummer Gene Parsons is so underrated. They really set the framework for the rhythm section, which allowed bassist Skip Battin to stretch out as another instrumental lead voice. But, White is the linchpin. It would take a pantheonic effort to keep “Lover Of The Bayou” from #1 on this list. “New Career” ends Side 1, but also serves as the perfect bridge between Sides 1 and 2. The first part features what’s to come on the flipside: a few different synth lines washing over each other in ambient dexterity. Here they float above a disco kick drum that clearly can’t wait to explode. When that happens at :35, the track turns into an earwormy instrumental number that, at its best, later turned into some great Cure and Superchunk songs. 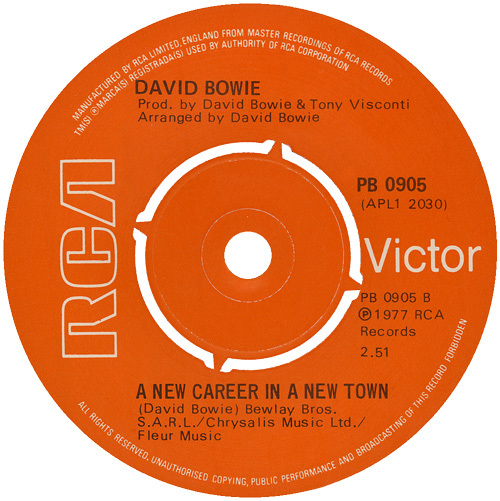 “New Career” is unique on the album in that Bowie’s mournful harmonica serves as the lead instrument. There’s something implicitly and eerily nostalgic about that riff, as if the song is simultaneously moving forward and looking back. It actually reminds me a bit of Charles Bronson’s classic harmonica riff in Leone’s anti-western masterpiece, Once Upon A Time In The West (1968). Come to think of it, an excellent alternative title (or subtitle) for Low would be Once Upon A Time In The East. 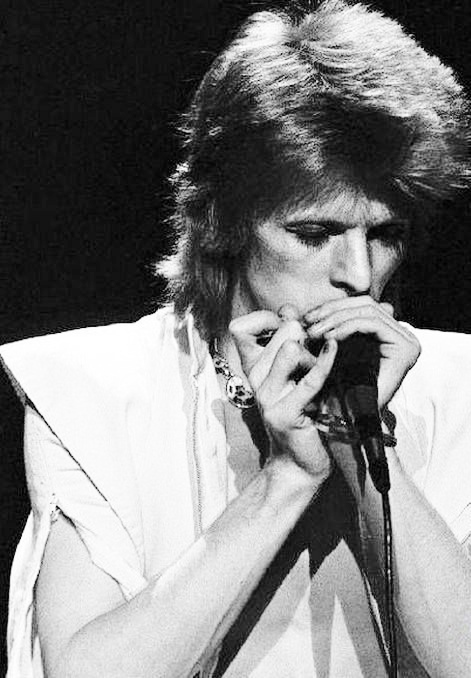 As it happens, Bowie’s harmonica riff would end up serving as a bridge to another of his songs. 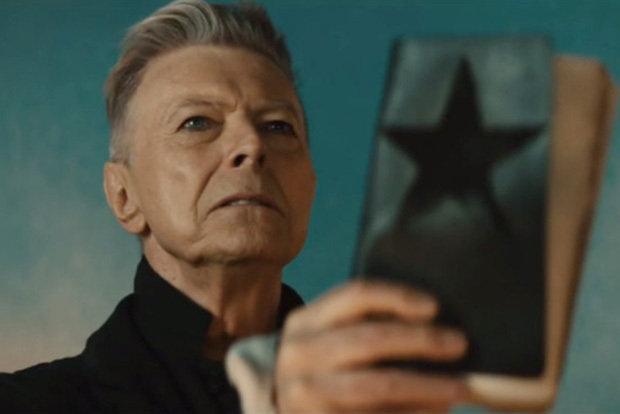 Andnot just any song, his very last song, “I Can’t Give Everything Away.” The final track on Blackstar was essentially Bowie’s goodbye to his fans, but it also contained a brilliant easter egg: the harmonica riff from “New Career.” How darkly funny and self-aware was that reference??? You can totally see Bowie coming to terms with his own death and that by including the harmonica part he’s essentially telling his fans not to worry. It’s not that he’s dying, it’s that he’s moving on to a new career in a new town. That’s why he was the Goblin King and we’re all just regular mortals. I originally planned to review Let’s Dance, Bowie’s triumphant return to the top of the pops in 1983. However, friend of the Lounge — and the second biggest Bowie fan I know, next to my wife — Nate “The Man” Pottker, requested that I tackle Tonight, the critically panned follow-up to Let’s Dance and an album even Nate doesn’t like. 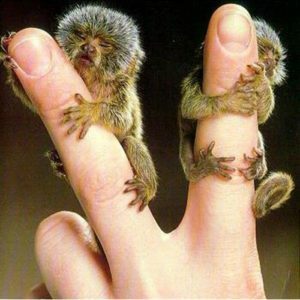 (Wait, is he just trolling me???) Whatever the case, this figures to be a challenge. Will I find some redeeming qualities in Tonight? Is it somehow undervalued after all these years or is it correctly rated near the bottom of the Bowie catalog? I guess we’ll find out. 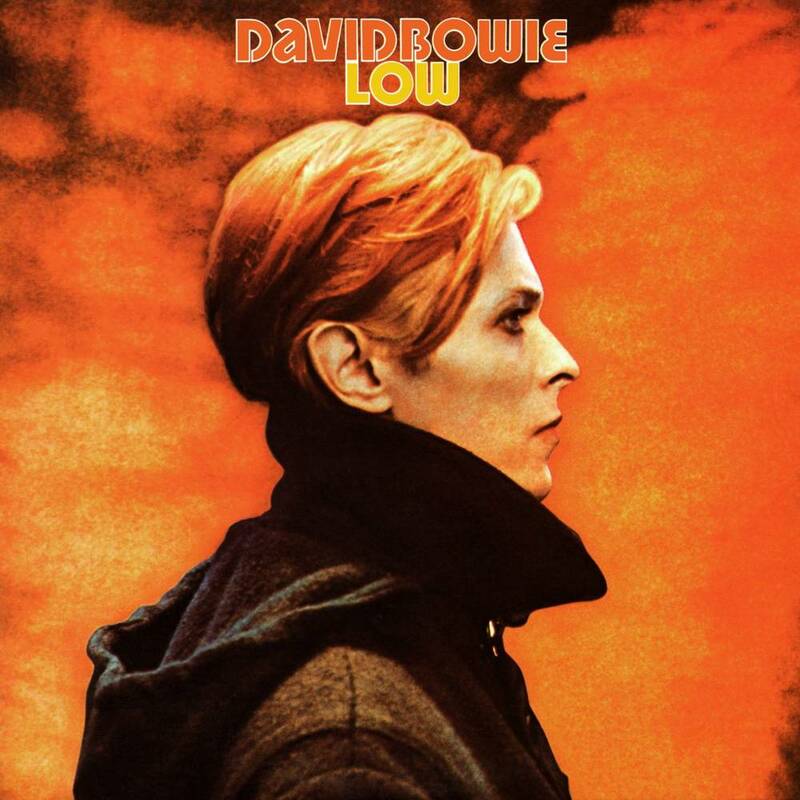 I disagree with Pitchfork that Low is the best album of the 1970s in part because I’m not even sure it’s Bowie’s best album from that year (looking at you, Heroes. 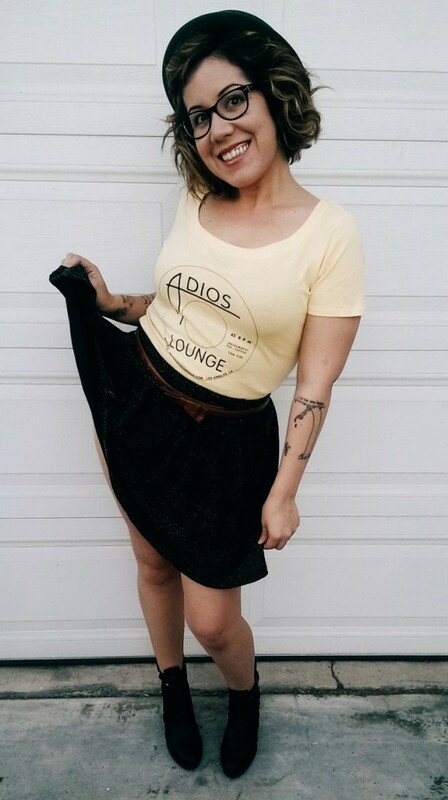 But, what ARE the best records from that year? It’s punk’s first great year, so how many slots do punk albums take in the Top 10? Do we count studio albums only or are live albums eligible? And I’m not just asking this because I’m currently wearing a leisure suit, but is there any way Saturday Night Fever makes the Top 10??? 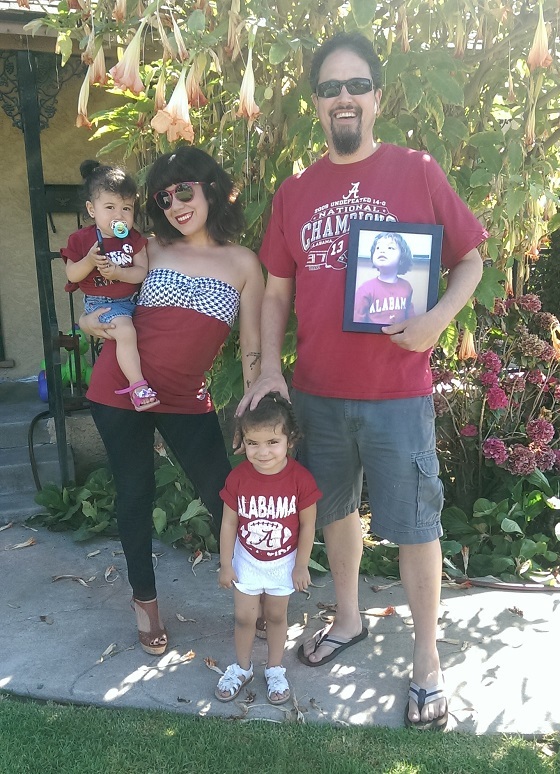 Miss talking punk rock and football with you on twitter, but every day you are smarter and smarter for leaving.